A few people asked about the images, the Tree is quite famous in photography circles, and is well photographed. It is located just outside Carlow heading south on the main road on the left. Each year depending on the crops could be two colours in the field dissected by the tree at the top. 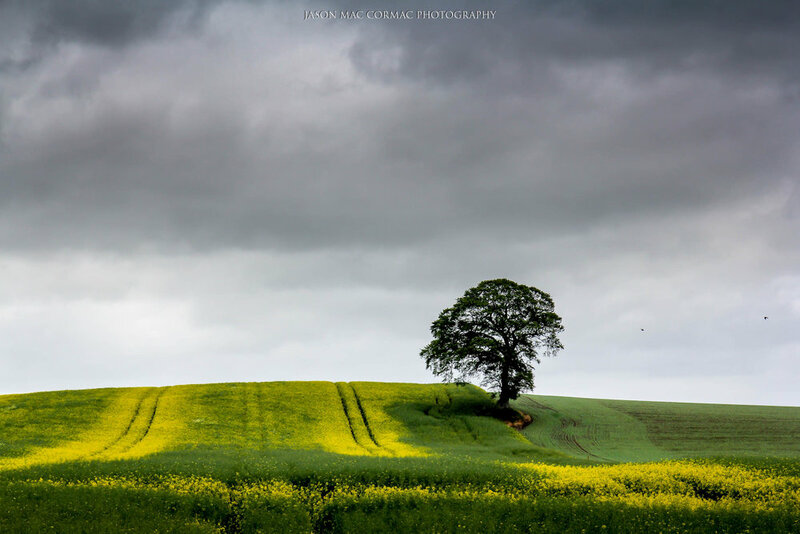 I particularly liked this image as the broody clouds contrasted against the bright yellows and greens in the field below. Moments after this image was taken the heavens opened and I had to run for cover of the car shielding my camera from the rain. 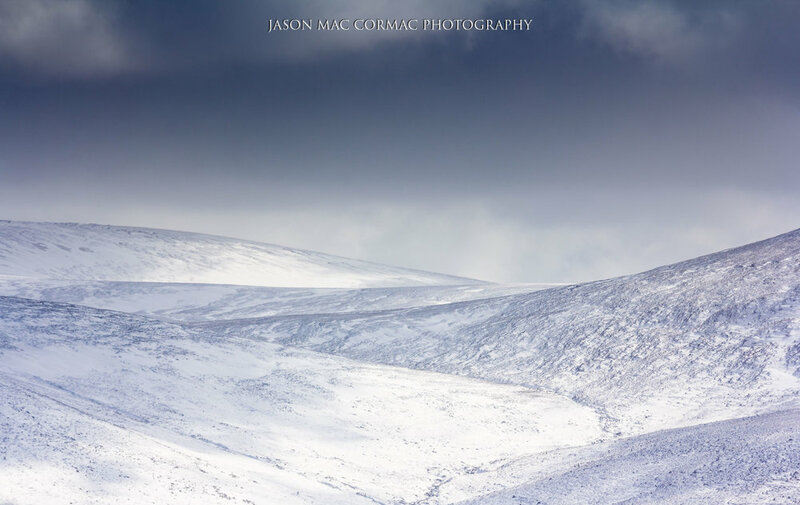 As for the winter scene, in keeping with the theme as all others are images of Ireland it would seem odd not to have an Irish scene so I have settled on the snowy mountain image that I captured earlier in the year at Blessington looking out beyond the lakes to the surrounding mountains and the s-curve shape of the road snaking through the snow. The Iceland image for those interested is from Jokulsarlon Lagoon on the east coast of Iceland, the glacier lagoon as its also known. I was fascinated by the shapes in the icebergs, this one seemed like a woolly mammoth emerging from its icy slumber. Other photos I took resembled frogs and dolphins, it did play on my mind for a long while was there a lone sculptor out early in the morning or was nature trying to speak to us of global warming and the loss of species around the world as a consequence. Deep thoughts or an overactive imagination? !!! So I have a cover and I have twelve images I am happy represent my photography over the previous year especially since they include some of my travels up North and along the Wild Atlantic Way from my wild camping trips. There is still time and some trips planned that might deliver images that have to have a place, so I think of the below as a draft set of images. What do you think?? Interestingly I have left out my night times urban landscapes of Dublin City even though they are probably some of my best images. I was in two minds as again all the other images are natural landscapes - What do you think, should I have included those? ?